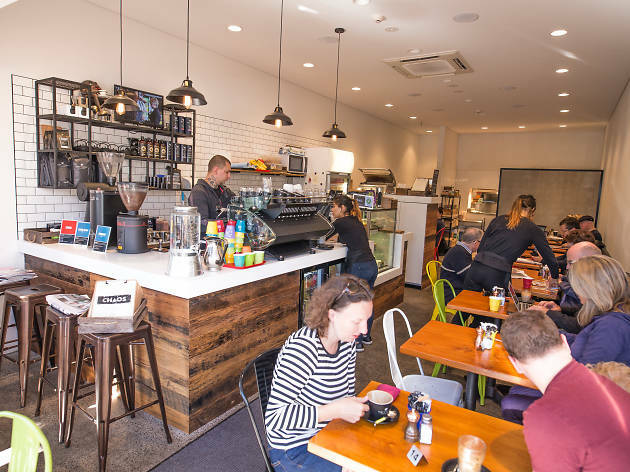 Away from the bustle of Military Road, Chaos Café is a favourite for families. With lots of seating, space for prams and a well rounded menu of café classics, it’s no surprise that Chaos is heaving on weekends. 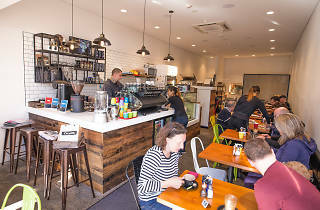 The café has recently undergone renovations and now boasts a slick minimalist interior. Sit outside on a good day and enjoy the relative serenity of Grosvenor Lane while eating a Chaos big breakfast (there’s a vegetarian version as well) and sipping a Toby’s Estate coffee. Or try one of the café’s new gourmet sandwiches or cakes.